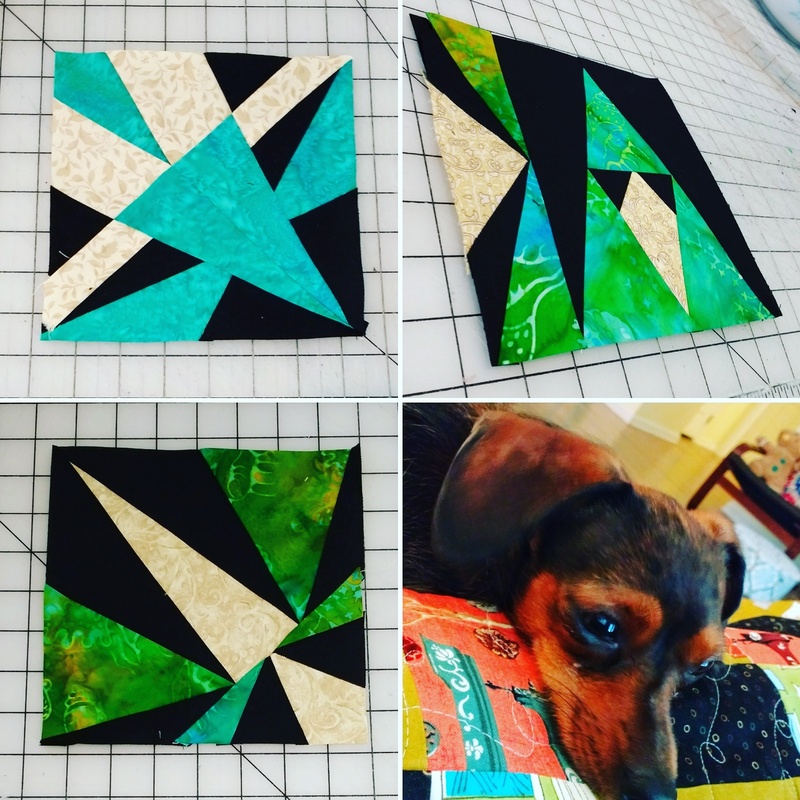 Adventurous Quilter: Rainbow Scrap Challenge back on track! Rainbow Scrap Challenge back on track! 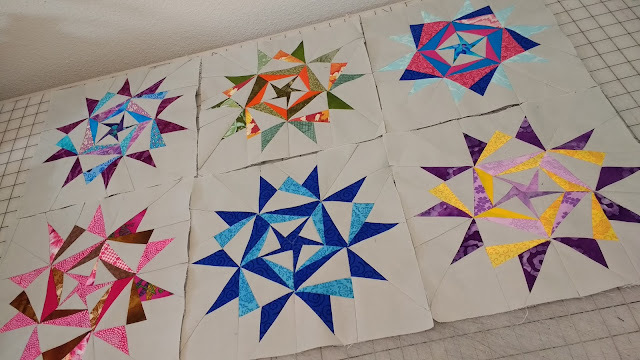 Last year I started this Pentagonal Star Quilt as part of the Rainbow Scrap Challenge, one block per month using the nominated colors was the goal. In August I started a new job and hadn't made a star since. Until today! This months color was blue. These blues were scraps of leftover binding from recent quilt finishes. The new block looks great amongst the others I made last year. 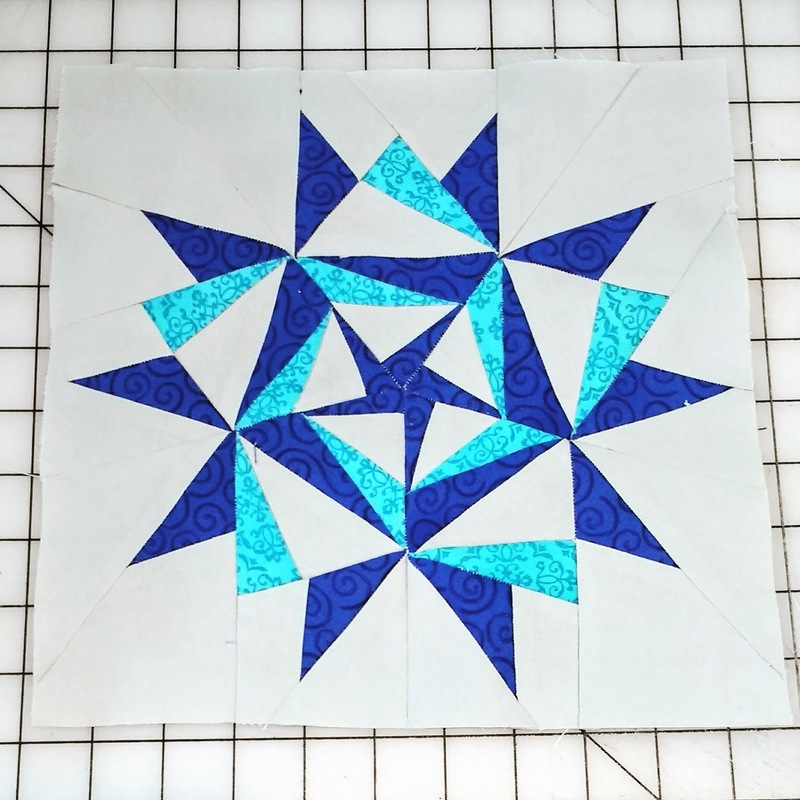 The Pentagonal Star pattern is in my Craftsy store. But be warned it does require a Y seam to put the final sections together. And I pattern tested three more blocks for my Adventurously Epic Sampler QAL. Now it's dog on lap time whilst I watch some Netflix.